How big are video games these days? : According to the Entertainment Software Association (ESA), the U.S. video games industry was worth $36 billion in 2017 (including software and hardware sales, as well as subscriptions to various services) - a 16 percent increase from 2016. That sets videos games about level with global box office revenue, which Variety reported totalled $36 billion in 2016. And those numbers are just taking into account the U.S. video game market. NewZoo, a games market intelligence firm, estimated in October 2017 that video game hardware and software revenue for that year would reach $32 billion in China, while Japan was forecast at $14 billion, Germany at $4.5 billion and Mexico at $1.5 billion. Indeed, video games are a force of entertainment unlike they've ever been before. Esports has exploded in popularity and worth, and could very well be included as a sport at the next Olympic games, according to Time. Players in titles like "League of Legends" and "Starcraft" garner celebrity status in some Asian countries where thousands rent out theaters to watch their favorite game. 17 NBA teams in America have signed on to support an esports league for "NBA2k" franchise, said Forbes. As the video game market grows, it's seen many of the same trends as other sectors have, namely the proliferation of subscription services and rapid digitization of game delivery and purchasing. It's a promising industry, and just about everyone seems to want in. From startups that rent games, to OTT streaming players and communications service providers (CSPs), and even the companies that make consoles, there's no shortage of interest in cracking the video game market for subscription services. Video games are a billion dollar industry. What makes video games so enticing? Why is the video game industry the focus of so many? 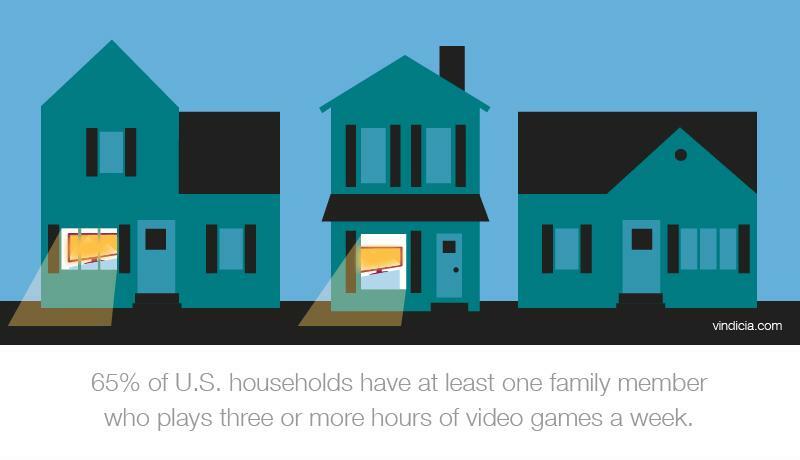 According to a separate ESA report, 67 percent of U.S. households have a device that can play video games, and 65 percent have at least one family member who plays three or more hours of games a week. The high rate of game playing is seen across the world, as factors like the rise of professional gaming and esports have built huge, active communities. In South Korea, a quarter of respondents to a 2016 survey said they played one to three hours a week, while 18 percent said they played four to 10 hours a week. The gamer base is diverse. ESA found that in 2017, contrary to popular thought, video games were more popular with older women than younger boys: The share of women 18 and over of the regular game-playing population was "significantly greater" than the portion of boys 18 and younger. Eighteen percent of U.S. gamers played with their parents, and 17 percent played with their spouse, further underscoring the wide impact of video games in social structures. Gaming has become a mainstream entertainment channel. ESA found that 54 percent felt computer and video games provided them more value for their money than going to the movies, purchasing music or buying a DVD. The growth of the video game industry and internet-based usage has given rise to interest from small startups to billion-dollar OTT players. And many are looking to subscription services as their in. Emblematic of the hype surrounding the intersection of video games and subscriptions is Alphabet, Google's parent company, which is taking steps toward releasing a large-scale streaming platform for video games. According to news first broken by The Information, and later shared by outlets like Venturebeat and Silicon Valley Business Journal, the code-named "Yeti" project would allow Chromecast users to stream games and play them immediately, instead of relying on a library of purchases. Microsoft is also in the video game fray. It has built its subscription service Xbox Game Pass into a destination for new releases the minute they hit the market. The company announced all Xbox One exclusives from Microsoft Studios would launch in the Xbox Game Pass on the same date as global release. A list of titles including high-profile additions like Sea of Thieves and Rise of The Tomb Raider will be available to users paying $9.99 a month, or who use a 14-day trial which Microsoft offers potential customers. A number of communications service providers (CSPs) have also acted to bring video game subscription services into their scope. These businesses have a particular advantage, given the popularity of smartphone games and the mobile connectivity and communication services telcos provide to their customers. With their considerable resources, service providers can act as partners with publishers to monetize video game subscriptions. For example, Orange and Vodafone — among others — recently teamed up with developer GameMine to offer the latter's entire catalog of Nickelodeon-themed titles to subscribers of their mobile networks across France, Spain and Portugal. Vodacom will also extend the same deal to its subscribers in South Africa. Despite growing involvement in the video game industry from major enterprises like CSPs and internet titans, and the strong positioning of traditional video players like Sony, the fact is that the market is vast and deep, with pioneers like GameFly still maintaining strong reputations. That means any business can potentially make a shot at penetrating the space. Monetization models are standard with most video game subscriptions in the vicinity of $6 - $10 a month, which makes rapid growth and high volumes critical. Although video games are very different from other forms of entertainment, the subscription lifecycle remains the same for any business in the space. More than just subscription billing, organizations must continually acquire, retain, faultlessly bill, expand and succeed — and they need high-level tools to help accomplish these objectives. Companies can find that support when they work with Vindicia. 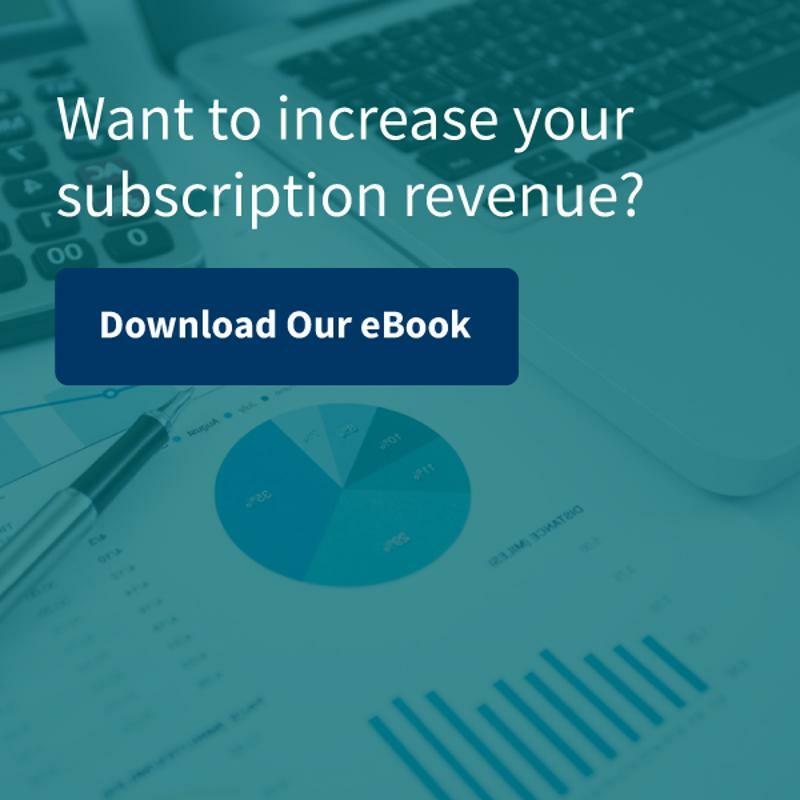 Our solutions and history of subscription expertise can provide your vision with strategic subscription billing tools and more, all designed to ensure success. That's why they call us the Subscription People. Contact us today for more information about how we can use data to grow your business and make smart decisions.